When you think about scuba diving you picture crystal clear warm water, at least I know I do because those are by far the best conditions. We have dove in many places around the world but by far our favorite is here in Hawaii. The sea life is unique and plentiful, the ocean is a lovely 75 degrees most of the year, and the visibility rivals anyplace in the world! Last year we did the amazing night manta dive in Kona, and we have also been diving on Oahu and day diving in Kona. This year for my son's birthday we decided diving needed to part of the celebration. After a lot of deliberation we decided we wanted to try out a new area of the island. 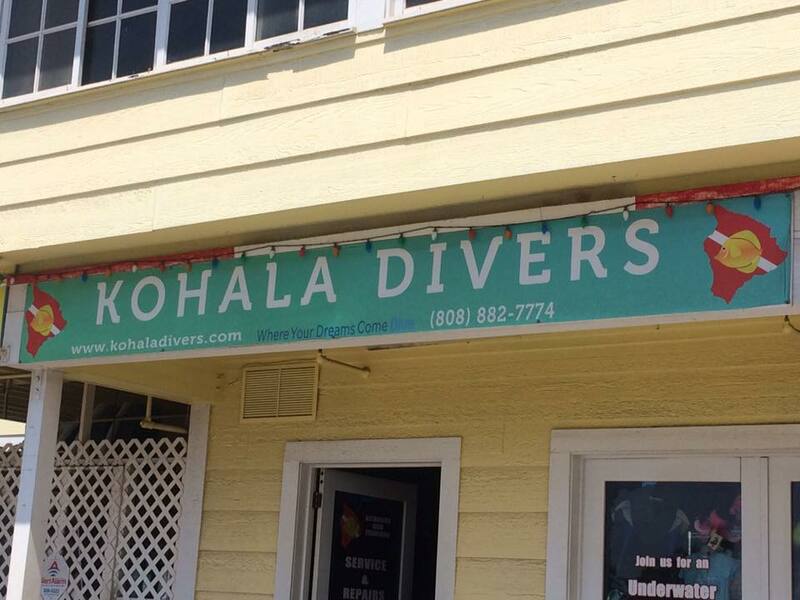 Kohala Divers got great reviews and offer some unique diving spots along the Kohala coast, North of Kona. As it turned out this was a most excellent decision! We arrived nice and early at the Kawaihae shop, quickly got checked in and fitted for all our gear. It was a short walk across the street to the boat. There were bathrooms located there but also provided on the boat. The boat was comfortable and had plenty of room to accommodate us all but going to the bathroom out at sea is usually something I try and avoid so if at all possible I suggest using these bathrooms before boarding. The crew was super helpful with fittings, getting on the boat, and well with just about everything. The captain was super knowledgeable about the area and a lot of fun to spend a few hours with. They provided juices and water as well as an assortment of snacks. 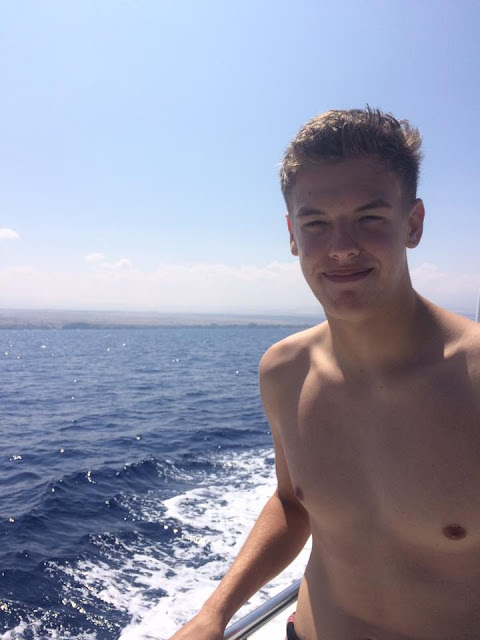 As I said before there is a bathroom on board as well as a hot, fresh water shower to rinse off after getting out of the water. Our dive spot was about 20 minutes away and on the way we saw turtles, whales, and loads of fish swimming through the clear waters. We anchored at a lovely spot called Garden Eels in South Kohala with a maximum depth of 60 feet but they spent most of their time between 40 and 50 feet. Now it know that sounds a bit creepy but garden eels are really cool and basically just stay on the ocean floor swaying back and forth, definitely a unique thing to see. There were also swim throughs, turtles, and of course about a million colorful fish! Did you notice I said they?? Well yet again my nerves got the best of me and rather than struggle with them I decided to skip the diving and go out snorkeling instead. The dive master and boat captain were amazing in their attempt to help me get past my anxiety. I never felt rushed at all and they were willing to do whatever it took to help me dive. In the end, as I sat on the edge of the boat preparing to jump in with all my gear on I concluded that there really was NO point in all the stress. 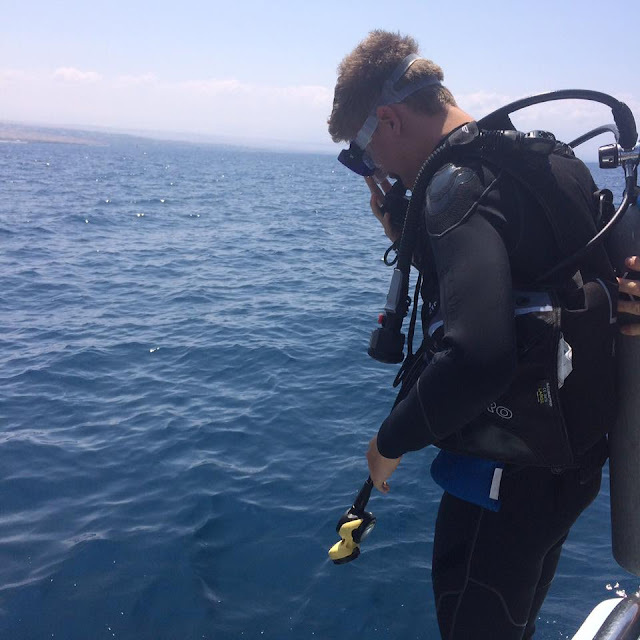 I've jumped through that hurdle and got certified, I've been diving and although I do love it once I'm in, the anxiety I was feeling simply was not worth it. So I took off the gear and went snorkeling instead. 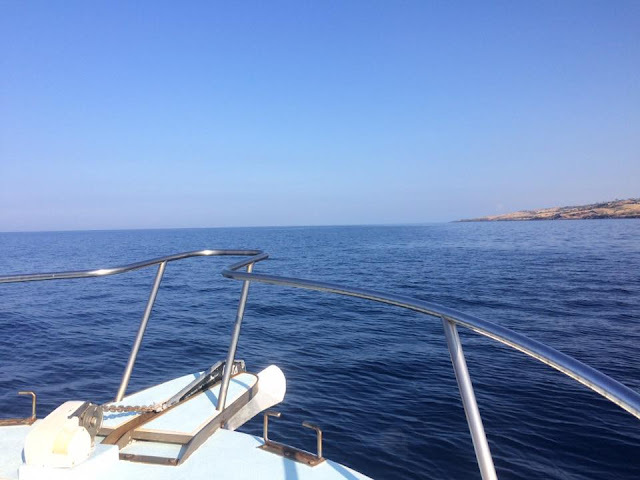 The great thing about our dive spots was that they really were very well suited to divers and snorkelers alike. We had about 5 divers to the 1 dive master which is a great number. My son reported that the dive master was very attentive, checking on them often and monitoring every one's air as well as pointing out loads of cool things that they may have otherwise missed. There were also maybe 8 snorkelers on the boat. Nice to know there is an option and that mixed couples, divers and non divers, can enjoy this type of outing together. After a quick snack, we were on our way to the next spot, Crystal Cove in North Kohala. It was about another 20 minute ride and when we arrived we immediately knew this would be as great as the last spot. There were loads of swim throughs, amazing visibility, and even more fish than the previous spot. While snorkeling I saw turtles and finally spotted an octopus, which was a huge desire to see on this trip. Unfortunately I couldn't get a great picture, masters of disguise and all. 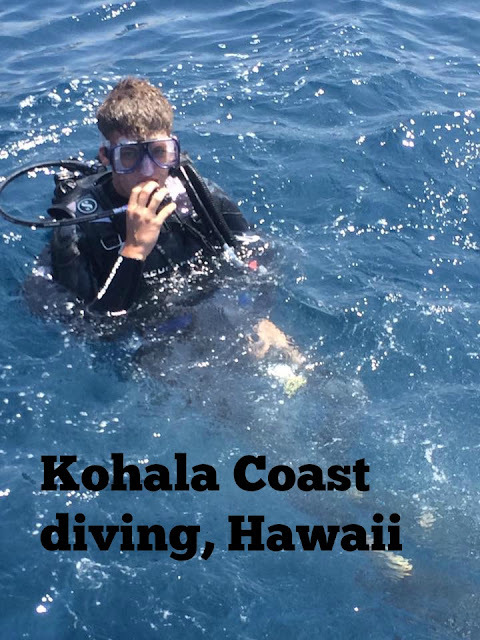 After diving in both Kona and Kohala I have to say that as far as sea life and visibility go Kohala is the preferred spot. I think it sees a lot less tourism so the reefs and sea life are in better condition. Although Kona is amazing as well if I had to pick, Kohala would be the spot to go! We had an amazing day in the water with Kohala Divers and we really appreciate the attentive and courteous staff as well as all the information they were able to provide us with! Have you been scuba diving in Hawaii? What was your favorite dive spot and why? I would love to hear about it in the comments below!